Historically, low natural gas prices in the U.S. have created both winners and losers. Although the extent of the environmental damage caused by hydrocarbon development has been disputed, the environment is certainly one of the losers. The impact is varied, but the flaring of excess gas from oil fields remains a widespread practice and has increased in line with booming domestic oil production. Although the metrics are improving, continued low gas prices are providing little incentive for U.S. producers to find other ways to utilize this gas, but the regulators are on their heels. Whereas some fields are dedicated to the production of natural gas, much gas also comes "associated" with oil at oil fields. Gas flaring is the process by which this excess gas is burned into the atmosphere when the operator sees no viable alternative. You will recognize the flaming "flaring stacks" at the heart of this process from the covers of endless industry brochures and reports. 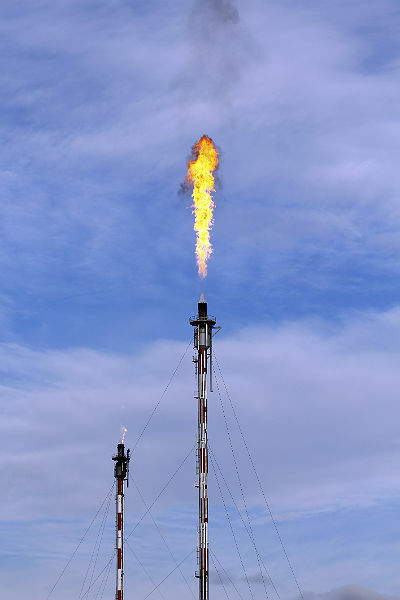 Flaring is a necessary evil, used as part of essential safety processes to avoid dangerous and less controlled releases of gas when operations falter, as well as following test production during initial stages of a project. It is also a lesser evil compared to "venting," which releases gas under less controlled circumstances. But pure natural gas is mostly made up of methane, a greenhouse gas, and there is no doubt that flared gas produces negative consequences both globally and domestically. In the poorly-regulated Niger Delta the acid rain exacerbated by the practice is so potent that it has begun eating away at corrugated metal roofs, as well as causing a raft of health problems in local communities. Much news coverage in this country has homed in on the U.S.'s failing record on gas flaring. Statistics vary, but according to the EIA, the volumes of gas flared or vented nationally rose from 2.9 billion cubic meters (bcm) in 2004 to 6.4 bcm in 2012, a 121 percent increase in just six years. That means that each year the U.S. wastes as much natural gas through flaring as Denmark produces annually, a volume that is increasingly accounted for by the states of Wyoming and North Dakota. While this is concerning, when we look at the data for how much gas is flared or vented per barrel of oil produced, we see that the ratio has dropped from 2.5 cubic meters per barrel to 1.39 over the same period. This suggests that the bulk of the increase is due to rising production levels rather than an uptick in flaring practices. So while it is true that the U.S. is rising up the list of global gas flarers, the underlying data is not as damning as it may first appear. Can the gas be used internally to boost operations at the field? Do we have the rights to sell any excess gas produced? Do we have access to domestic or international markets to sell that gas? Do underlying energy prices make gas utilization economically viable? A common use for excess "associated" gas is reinjecting it into mature fields to boost flagging production. However, the majority of the wells drilled in the U.S. in recent years are at newer unconventional fields, where reinjection is less useful. Most modern oil and gas contracts give the operator the rights to sell excess gas produced (although this is not always the case, and the right is still conceded to host governments in many countries). In the U.S., this is a less prominent concern. There is certainly a growing demand for natural gas in the U.S., but as far as export infrastructure is concerned, pipelines are struggling to keep up with booming production. Moreover, the widely-dispersed and dynamic nature of the wave of shale drilling in states like North Dakota makes it difficult to invest long term in expensive infrastructure when dry wells might mean a quick shift of operations elsewhere. But it is primarily the final issue of energy prices that have frustrated efforts to reduce the practice of gas flaring further. In the light of low gas prices today, fundamental project economics have not convinced producers that they can recoup the costs sunk into gas utilization initiatives. A report by the World Bank several years ago noted that "in theory, the economics of associated gas dictate that operators will reduce flaring and venting until the marginal costs of gas utilization in a field exceed the marginal benefits." From this perspective, the increase in gas flaring in a country where gas is cheap and plentiful is a market failure. The "negative externality" of gas flaring is not yet part of the investment equation. If the market is incapable of keeping gas flaring at reasonable levels, the regulators will step in. The EPA's New Source Performance Standards (NSPS) and National Emission Standards for Hazardous Air Pollutants (NESHAP) are in charge of keeping the practice under control on a federal level. As a result of legislation passed by the EPA in April 2012, from January 2015 operators must have phased out flaring in favor of "green completions," which capture natural gas at the well head and make it available for use or sale. There are now portable gas processors that can be transported by truck to sites to carry out the job. 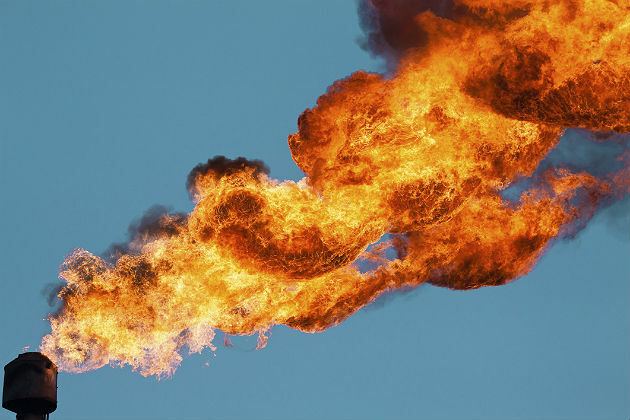 The lawyers of powerful industry lobbying group the American Petroleum Institute (API) have, of course, resisted amendments to the standard at every turn, arguing that they are too costly and debating the precise definition of "gas flaring." But the overall trend is toward compliance, which the EPA believes could reduce emissions by 95 percent. Unlike Iraq and Nigeria, the traditional "baddies" in the gas-flaring game, the U.S. has strong institutions and rule of law that must be used to correct market failures such as this. Companies cannot be expected to self-regulate. There may have to be some "flaring holidays" during exploration and early stages of production in order to reduce the barriers to entry for new producers and support the development of new fields, but they must be limited. The regulators have a difficult balance to strike. It is unclear who is winning the environmental debate between industry operators who bring the issue of energy security to the forefront, and environmentalists who insist on industry sustainability in the longer term. Where Big Oil has often succeeded is in its arguments for the potential of technological process to make exploration and production processes more efficient and less damaging to their surroundings; these operators now need to turn that innovative energy to developing attractive alternatives to gas flaring.